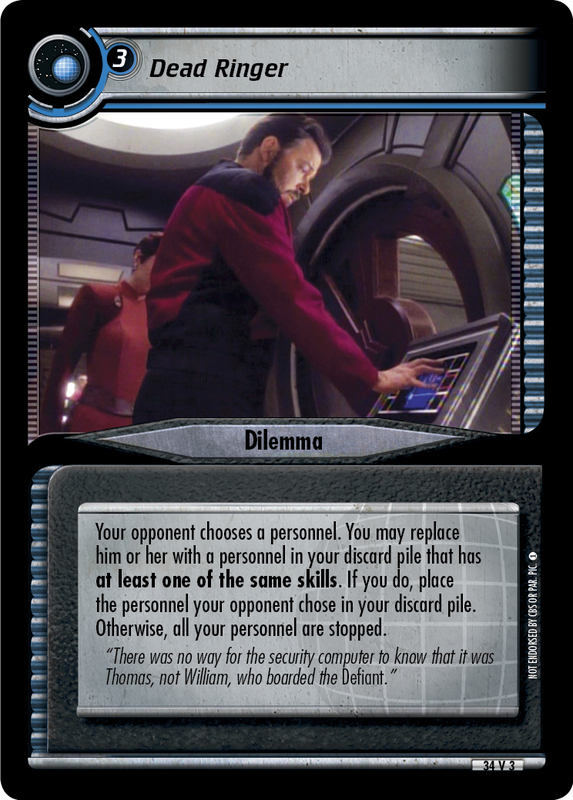 When your opponent reveals this dilemma, add 5 to each of this dilemma's attribute requirements for each interrupt in that opponent's discard pile. Unless you have 2 Diplomacy and Cunning>20 or 2 Security and Strength>20, all your personnel are stopped. "... a test of strength? Meaningless, since you have none. A test of intelligence, then? Equally as meaningless."